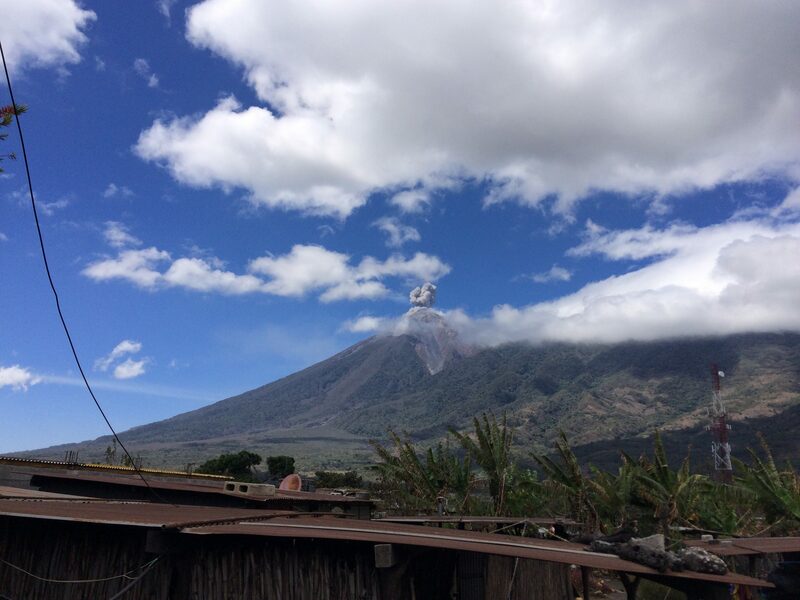 During bible distribution, I was sitting on the side of the street when I saw a volcano erupting. It was quiet. Just smoke puffing out of the top. This volcano is called Fuego and it erupts “everyday”. I was surprised because it was sudden but quiet. My mama was very excited too. My brothers did not see it but I told them about it. We have not watched that one. We’ll have to with the kids if we our Internet connection can handle it. Wow, what an exciting thing to see! Thank you for making me feel like I was there! Li Ling! I found out I didn’t climb El Fuego. It was Picaya. I was so scared. We climbed it in the pitch black of night. Connor was bounding up the mountain taking no thought while I held my dad’s co-worker’s hand so Troy could hold onto Connor. That’s how scared we were (all of us but Connor). Smoke was rising out of the rocks and I was sure Connor was going to fall into a crack and forever be part of that mountain. But, then we got to the top and roasted marshmallows over the hot lava and had s’mores and laughed at how scared we had been. 2 weeks later, the mountain erupted and the entire town had to be evacuated. I hear the trail and trek to the top is much better/easier now. Thank goodness. I love this awesome pic and reading about your adventures. So glad you are getting to experience Guatemala. You are lucky to see it! Too bad your brothers did not see it. But it was nice of you to tell them about it! Good thing you have a picture of it here! Now I can see it too! Keep looking and be good! That’s one of my dreams, to see a Volcano erupt. I am very tempted to fly down and see you all and the Volcano!